This stimulating new work is based on a highly-successful--and extremely popular--course which Professor De Nicolas has taught at the State University of New York at Stony Brook for over 15 years. In "Habits of Mind," De Nicolas reveals that the most important achievement of education is to develop in students those skills that enable them to participate fully in the life of humankind. He calls these skills the "inner technologies", and intends by the phrase something very different from congnitive skills. Education, he claims, must nurture the capacity for fantasy and imagination. 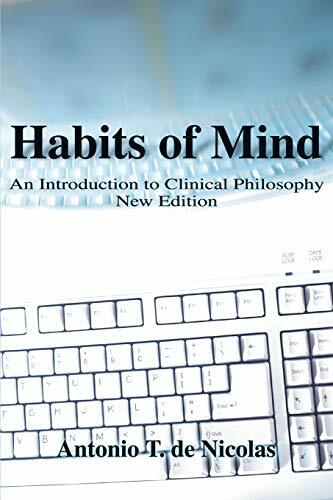 In "Habits of Mind," he traces the relative importance of these capacities through the history and philosophy of education from Plato onward. The habits of intellectual discourse are treated as an organic thread from the ancient past to the present. Dr. de Nicolas is the author of some twenty-seven books, including Avatara: The Humanization of Philosophy through the Bhagavad Gita, a classic in the field of Oriental studies; and Habits of Mind, a criticism of higher education, whose framework has recently been adopted as the educational system for the new Russia. He is also known for his acclaimed translations of the poetry of the Nobel Prize-winning author, Juan Ramon Jimenez, and of the mystical writings of St. Ignatius de Loyola and St. John of the Cross.